California strawberries began to grow in popularity in the early 1900’s, and so did the number of growers! This progression let to a group of California growers to form the Central California Berry Growers Association in April 1917. The cooperative would later market their strawberries using today’s Naturipe® trademark. As a grower cooperative, members gained security needed to effectively control the marketing and distribution of their crops. In addition, the farmers learned from each other and the quality of the strawberries benefited from their collective knowledge and growing techniques. The objectives of the new organization were to promote, foster and improve growing, packing, and marketing of berries grown by members. The organization would protect growers from chaotic marketing, develop new outlets for berries, and advertise at a retail level. All grower members were protected by a “berry crop agreement” which appointed the Association as a grower member’s agent for consigning, marketing, processing or preserving the grower’s berries. The Association held the power to establish selling agencies in any city, to bargain with commission houses for an equitable and reasonable price, to establish standards of quality, to regulate the manner of handling, packing, and shipping of berries, and to retain representatives in offices at the service of growers. By 1920, the Association reached a membership that included 95% of all berry growers on the central coast that was the highest percentage of berry grower membership for any cooperative in the state! 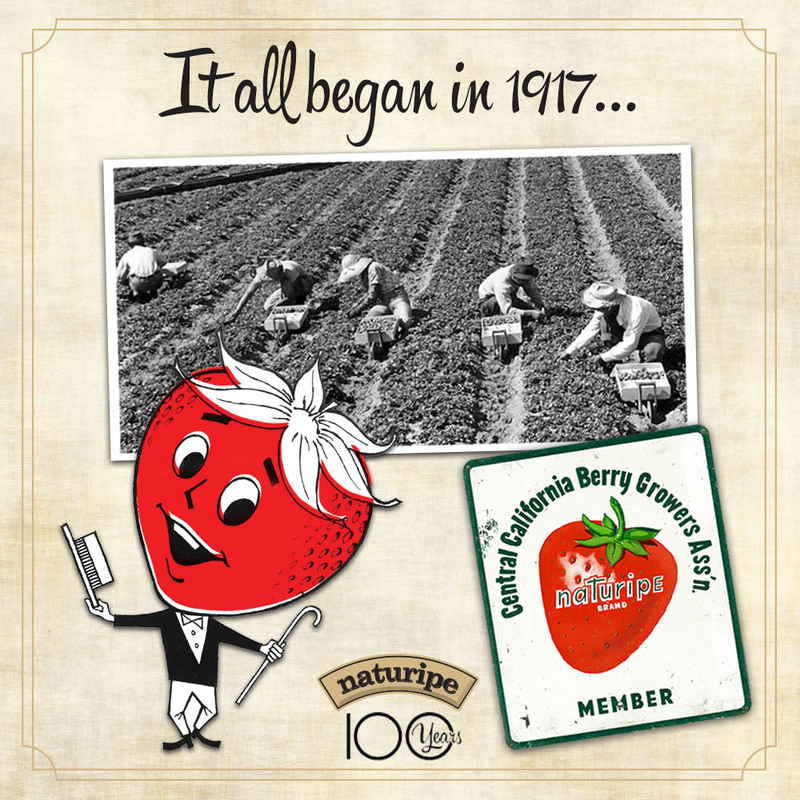 100 years ago, these growers had a mission to produce the best quality tasting berries. The same mission and values that pulled them together are still alive and well at Naturipe today and will continue to help usher in many years to come. Click to see a timeline of pivotal moments in our history.